Mining area above the old mine 1 (my own terminology). The size of the waste dump suggests that these mine shafts were actually used for some time. For when and for how long and how much coal was produced here is not known. 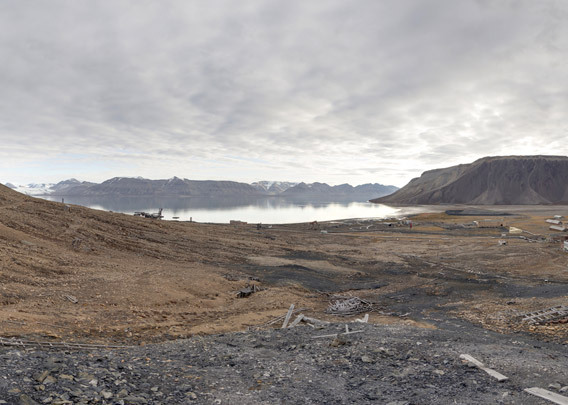 Waste dump area of old coal mines near Pyramiden.